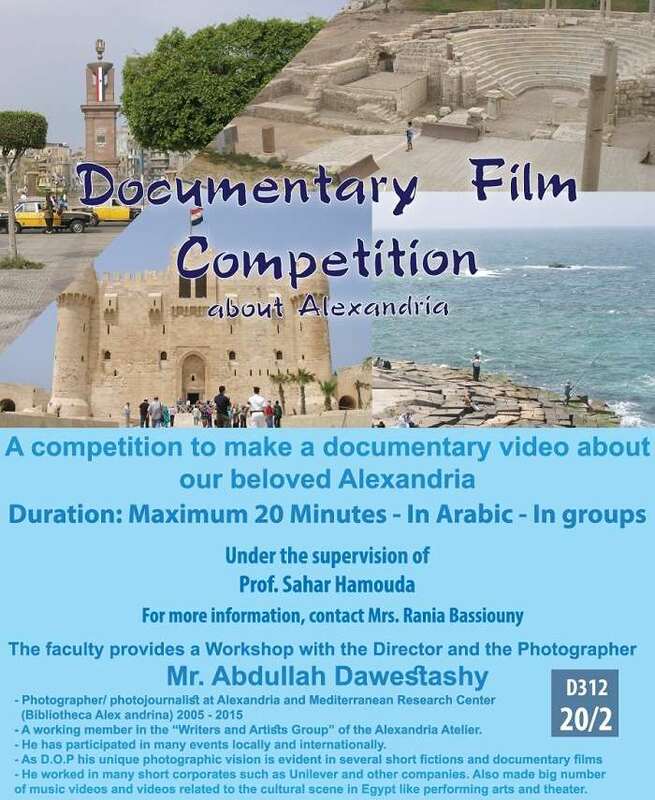 The faculty of Languages and Translation organizes a competition for documentary films on Alexandria. The competition is open to all PUA students from different faculties. 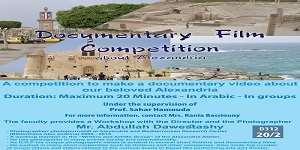 The faculty of Languages and Translation also holds a seminar for Mr. Abdullah Dawestashy, the Photographer and the Director of documentary films at Bibliotheca Alexandrina on Tuesday 20/2/2018. This is held at 12.30 p.m. on room D 312. The seminar is supervised by Prof. Sahar Hamouda and coordinated by Mrs. Rania Bassiouny, the faculty student activities leader.